The Boys & Girls Clubs of Venice was established in 1968 as a non-profit organization to meet the need for after school and summer programming for local youth. 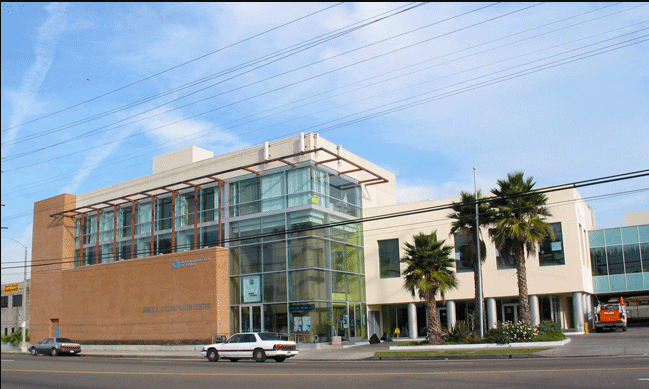 Having secured its first Executive Director, David Mandell, the community leaders and Mr. Mandell were able to rent a temporary structure at 210 Venice Way near the old Venice post office where limited programming took place. The purchase and move to the Lincoln Blvd location took place in December, 1971. Back then the property consisted of two lots and a recessed two-story apartment building with a garage. The old house in front was torn down, and a blacktop was built for outdoor games and activities. In November 1977, two adjacent lots were purchased. In 1979, David Mandell and the Board of Directors decided to convert an existing house into a thrift shop that would provide ongoing financial support to the Club. Prior to 1975, The Boys Club of America and its affiliates had a mandate to provide programs and activities to boys only. As Executive Director, Mr. Mandell saw the unfairness of this practice, broke with tradition, and with the Boards’ support, admitted girls as full members. In 1980, the club officially changed its name to the Boys’ and Girls’ Club of Venice. The Club was the first to admit girls which set a precedent that other affiliates slowly followed. In the late 80s and 90s, there was a rise in crime and violence throughout Los Angeles. The Venice and surrounding areas were affected as well. Mr. Mandell, staff and the Board were concerned for the safety of the youth because most activities were held outside making club members exposed and vulnerable. A larger, indoor facility was needed, and its urgency became important. 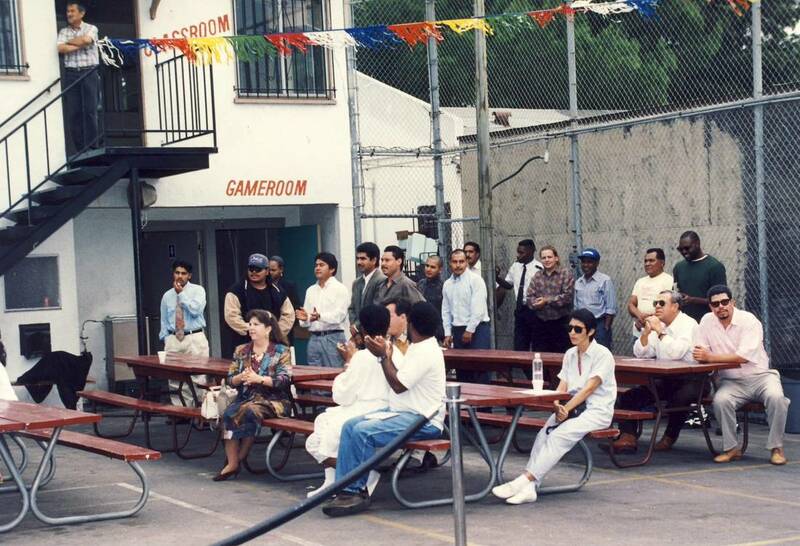 In 1994, the Boys and Girls Clubs of Venice launched a capital campaign that would replace the converted duplex with a fully-equipped Boys & Girls Clubs building. Mr. Mandell worked with the architect, Howard Lacs, who produced a model of the new building. Mr. Mandell presented this model and spoke about his dream of a new, more modern club to civic organizations, Rotary and Lions Clubs, and chambers of commerce. To everyone’s delight, Mr. Mandell was able to secure from businessman and philanthropist Jim Collins the core amount needed! Shortly afterwards, the 1994 earthquake occurred, and damaged the Club’s structure. As a result, Club activities moved to the Westminister Senior Center, the Vera Davis Center and Venice High School. Under these challenging circumstances, Club programs flourished in spite of limited space, serving approximately 500 youth annually. Meanwhile, a new Club Thrift Shop opened on Centinela Boulevard. Between 1994 and the opening of the new Club’s Phase I in September 1999, the capital expense to build the Club escalated from $2.8 million to $5.2 million. This was due to increased expenses over time and the unexpected requirement to add subterranean parking to the structure. The latter component was further complicated when water was struck, adding Coastal Commission involvement and an additional $1.2 million cost. In order to maintain the faith of the many foundations, corporations and individuals who had generously committed financial resources to the Club project, the Board decided to open the building in two Phases: Phase I (first floor) opened in September 1999, and Phase II (second and third floors) opened in June 2000. In the interim, a second Thrift Shop was opened on Lincoln Boulevard within blocks of the new Club. During this time, it was J. R. Dzubak who became the Executive Director. After serving for 27 years, Mr. Mandell decided to retire from the Club to pursue his expertise of fundraising and marketing for other non-profit organizations, particularly Boys and Girls Clubs. During the opening ceremonies of Phases I and II, the Club was honored to have such notables as the mayor, county supervisor and a councilman as well as the chief of police in attendance. Indeed, this was momentous occasion. Mr. Dzubak was instrumental in expanding the Board and doubling the Club's operating budget. Both the Pacific Regional Keystone Conference and the National Board Leadership Conference was hosted by the Boys and Girls Clubs of Venice during this time. Also, the Club’s sailing program became nationally recognized. The Club continued to thrive with CEO, Erikk Aldridge. Under his stewardship, the Boys and Girls Clubs of Venice established two endowments and completed over a half million dollar to the gym. The Club gained generous partners that included the Los Angeles Lakers, Fashion Institute of Design and Marketing, and The Walt Disney Company. The results were the establishment of an enhanced Arts Center, Teen Center, and Music Center. There was an expansion of the youth services that included funded site programs at Coeur d’ Alene and Short Ave. Elementary Schools, Mark Twain Middle School, and Venice High School. ​The next Chief Executive Officer, Monique Brandon, continued to move the Club forward. Ms. Brandon was able to secure the beachside Jonathan Club for the Club’s annual gala. This venue proved to be a huge fundraising factor in amassing needed funds for the Club. Presently, Karen Papazian is the current Chief Executive Officer and continues the challenging yet rewarding work of the Boys and Girls Clubs of Venice.